Moss agate is a stone that is multiple shades of green, which resembles trees or moss from a distance. 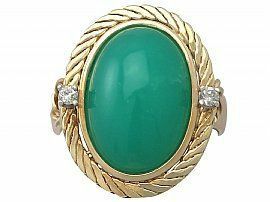 This powerful gemstone is known for its healing powers, and honours Bona Dea, who is the Greek Goddess of Women, and the Roman Earth Goddess of Fertility. 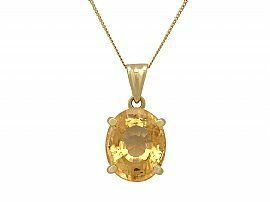 When it is used in a piece of jewellery, it is said to bring the wearer health, friends and riches. Although moss agate is considered part of the ‘agate’ family, moss agate is not a true form of agate (in scientific terms at least) due to the fact that it is devoid of the visible concentric banding of true agates. However, it can sometimes be found with bands of brown agate. When this happens, it is called mocha stone. 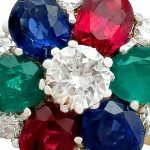 Usually, this semi-precious gemstone contains moss like inclusions, which certainly have an agricultural feel – hence it’s often referred to as the gardener’s stone. When the moss agate is planted in a pot with an unhealthy plant, it will repair the damaged plant. The stone of warriors which when worn will bring then strength and victory. It is used as a Feng Shui element; it is believed to bring health and prosperity to the home when kept in the southeast and eastern area of your home. Symbolises new beginnings – as well as eases pain – and is sometimes used by midwives as a birthing crystal, to assist with the birth and reduce the pain. Reduces difficulties associated with overcoming addictive behaviour. Moss agate is a member of the quartz family that can be found around the world in Russia, Australia, India, and the United States. If we get really technical, they are actually part of a subsection within the quartz family called chalcedony gemstones. Other stones that are members of the quartz family include: amethyst, citrine and chrysoprase, as well as many others. Quartz is one of the biggest families of gemstones that are used in jewellery. Moss agate is a translucent-to-white stone that has green streaks and inclusions. Each moss agate is unique, with many different tones of green, and some with more or fewer inclusions. There are a wide range of different colours and styles to choose from, so there is a moss agate out there to suit everyone. Below are two very different examples from our stock. You can see the moss appearance rather well on these vintage cufflinks to the left, which feature a natural opaque moss agate cabochon to the centre, with the moss-like inclusions clearly visible. Moss agate can also be referred to as landscape agate, with some samples offering up picturesque landscape scenes which almost look painted. You can see some great examples on Pinterest here! Moss agate has a dull-to-waxy lustre, it has hardness of 6.5 to 7 on the Mohs scale; this is a measure of how resistant a material is to scratching. To put this into perspective, diamond has a Mohs hardness of 10, and is a defining material on the scale. Whereas pearls – known for being soft – are generally a 2.5–4 on the scale, indicating their malleability. Although moss agate is a resilient stone, as with all gemstones, some care should be taken. Moss agate is easily cleaned with warm soapy water and a soft cloth; do not use any house hold cleaning agents as this can damage the stone as well as the metal that the stone is held in. 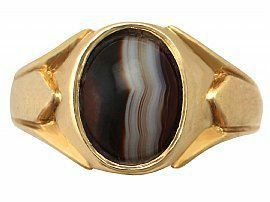 Agates should be stored away from other stones to avoid abrasions, and be careful to avoid prolonged exposure heat and light. 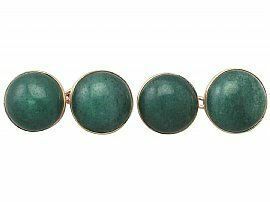 Moss agate is a beautiful stone that makes a great stone to have as part of your jewellery collection. 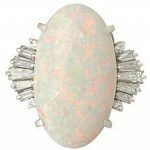 It has many positive meanings behind it, and there are many different styles to choose from, whether you prefer the greener stones, or the ones with clearer inclusions marked in to a white background, like the examples above. We would love to know which type you prefer! Emma joined AC Silver as a website content editor with an interest in luxury goods. Emma represents AC Silver on many social media outlets in addition to creating interesting blogs and articles. 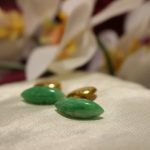 What is the Difference Between Nephrite Jade and Jadeite Jade? 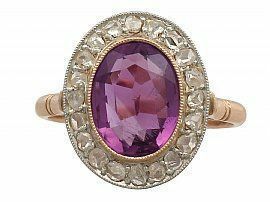 Birthstone for January – The Gorgeous Garnet!